Provide endless opportunities for paths of balance and fun. Easy set-up allows kids to create a variety of stone paths themselves! 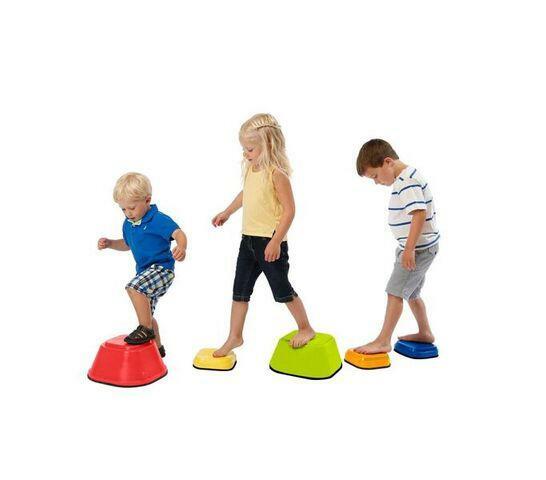 Multiple sizes encourage stacking and organizing that enhance thinking and imagination! Build self-confidence as different paths are created and mastered! Weight limit: 175 lb.